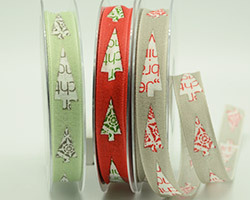 Single sided satin with metallic gold or silver 'Merry Christmas' printing. 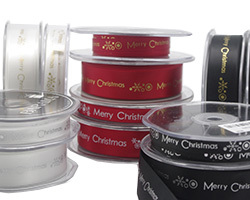 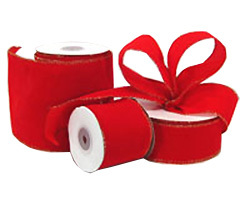 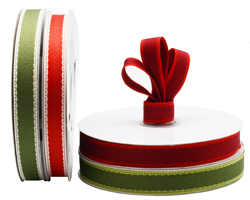 A soft ribbon in Christmas shades. 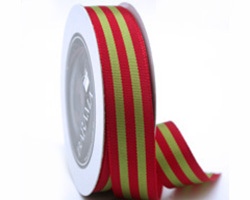 Bright and contemporary Christmas stripes, available in Red with Pink/White/Green stripes, Green with Red/White/Green stripes and Red with Gold/Burgundy/Green stripes. 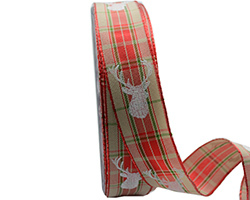 This reindeer is definitely a cutie! 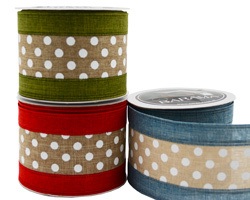 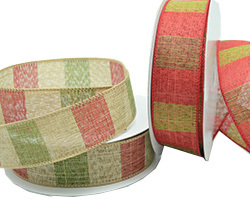 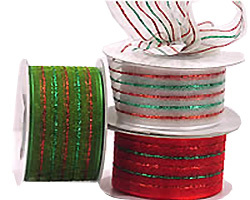 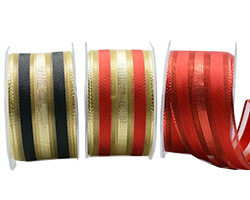 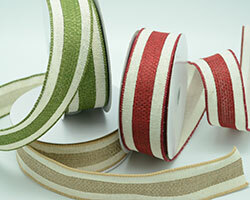 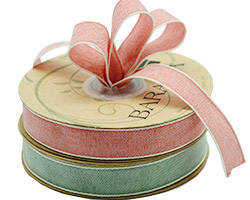 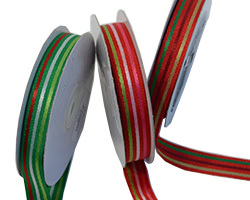 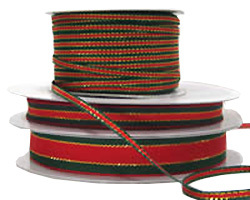 A grosgrain style ribbon with a Red and Green stripe. 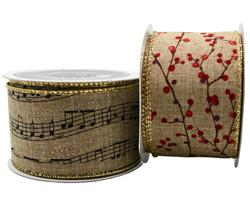 A stylish ribbon in jute with metallic gold and wire edging. 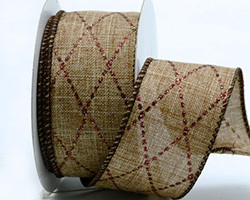 Perfect for a natural look with just a little bling. 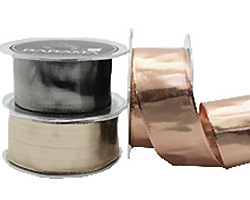 A wire-edged metallic foil ribbon. 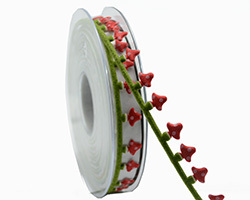 Beautiful to work with, big on impact. 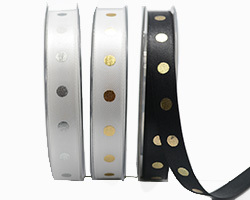 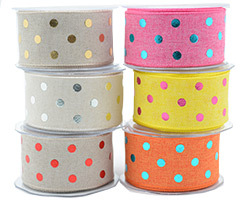 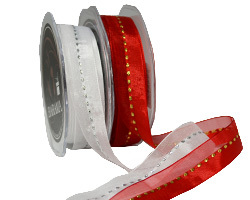 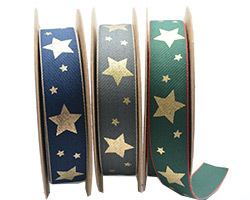 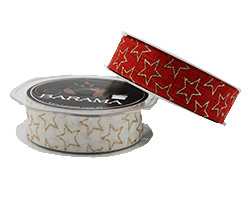 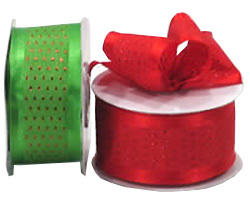 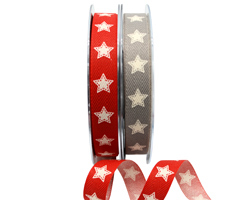 A striking, wired ribbon with glitter spots, adding a little bling to Christmas. 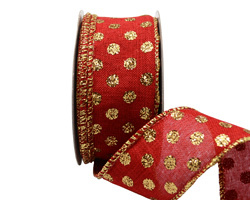 Available in red with gold glitter spots. 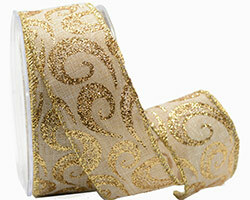 An impressive, natural style ribbon with a glitter florentine pattern. 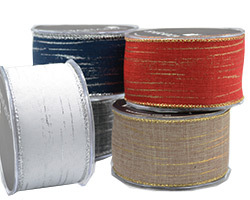 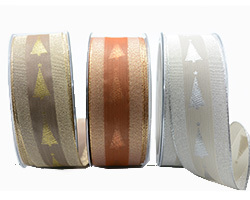 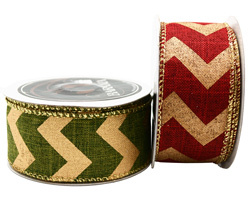 A metallic gold chevron print on a quality linen style wired-ribbon. 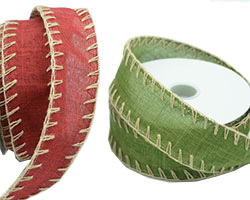 Available in moss and red. 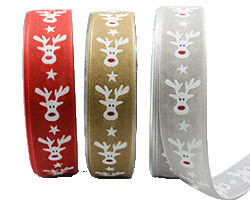 A classic reindeer print, to suit many applications. 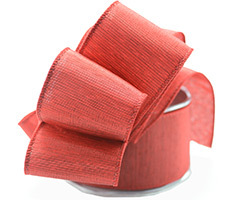 Available in red, moss and natural. 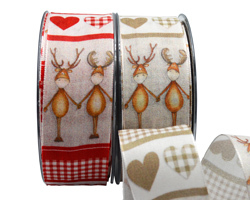 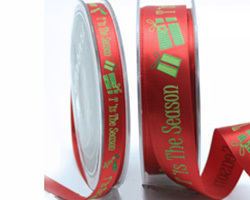 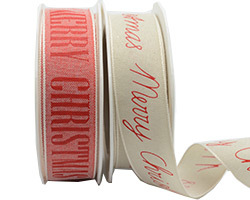 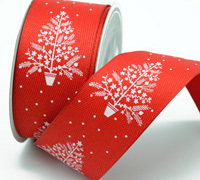 A natural style Christmas ribbon with a bold print. 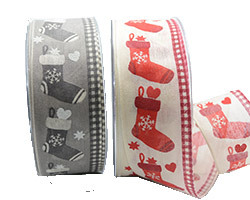 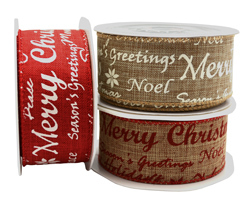 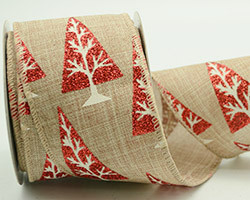 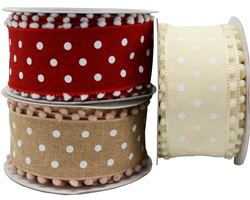 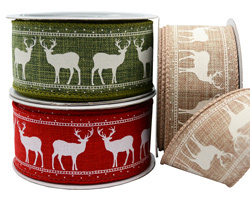 Beautiful Christmas style ribbons in a natural style fabric with subtle splashes of glitter. 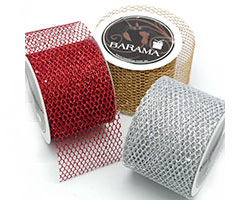 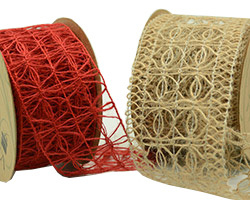 Our popular open weave natural jute ribbon in Red. 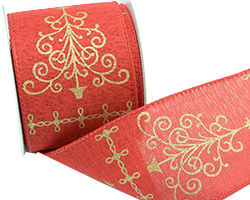 This unique natural style ribbon has a touch of glitter - just enough to add interest to the pattern. 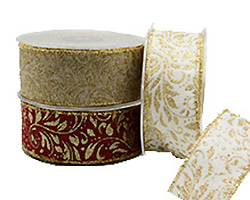 When a bit of bling and glamour is required to combine with a natural look. 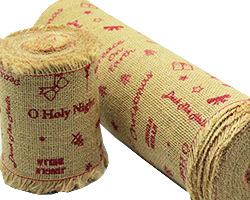 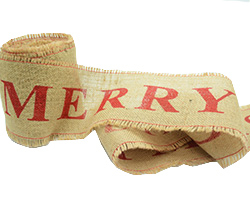 Our Christmas print in large widths of jute, all part of our Christmas story.